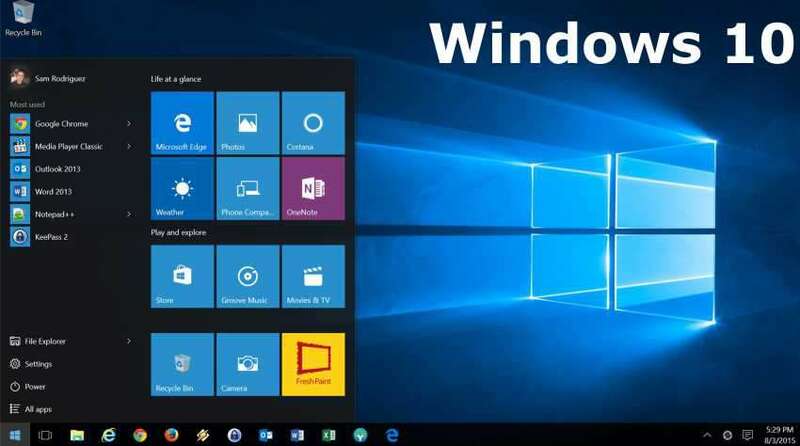 Microsoft executive Yusuf Mehdi announced today through his blog the next major update of the Windows 10 operating system, the Windows 10 Anniversary Update will become available on August 2. Microsoft encourages folks to request it in advance. Anyone running Windows 10 on their PC can request for the updated version now for free till July 29, after which it will cost $119. Anyhow, you need to wait until 2nd August to get it. Mehdi says that there are more than 350 million devices currently running Windows 10 all around the world. The customer satisfaction levels are higher than the previous version of Windows. Windows 10 has been used more than 135 billion hours worldwide. The foremost attractive feature of the new update is better security. Microsoft tells that Windows 10 is the most secure version of Windows till now and the company is enhancing security in the new update. One method is through Windows Hello, which enables you to use biometrics measures like facial recognition in lieu of passwords to verify your identify. Microsoft also claims that in Windows 10, Windows Defender is in an improvised form. The company has strengthened tools for enterprise security, with prevailing cyber-attacks costing businesses $12 million for every incident on average. Windows Defender Advanced Protection is the name given for new security feature. Advanced Inking features, smarter Cortana, more power-efficient Edge browser, more Games and a new app for Education called “Set up School PCs” are the other new features available in Windows 10 Anniversary Update.